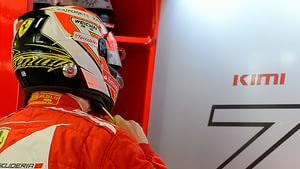 After a couple of weeks on the down low, Christine's Rankings returns with a bumper multi-week catchup, handing out points left, right and centre to those cheeky F1 drivers. This time out, the battle at the top closes drastically, with Daniel Ricciardo securing yet more points for his antics. We've also got some improvement from Kevin Magnussen, alongside a handful of points for Susie Wolff, Kimi Räikkönen and Felipe Massa. The conclusion of this most excellent rankings championship is drawing ever closer, so there's just a few weeks left for you to get your points suggestions in and help affect who takes home the 2014 title! +2 Susie Wolff: Sharing her own chocoaholic tendencies. Gotta love Lindt! +2 Susie Wolff: Hiding behind the cardboard cutout that was a present for her at the Suzuka circuit. The media will never notice! +1 Daniel Ricciardo: Managing to tame that smile just long enough to go a bit zen ahead of the Japanese GP. +1 Fernando Alonso: So relaxed during practice at Suzuka, he handed out grapes round the Ferrari garage. Not quite cake-watch but it'll do. +2 Kimi Räikkönen: Making BBC reporter Tom Clarkson's day by saying it was a good interview! +3 Felipe Massa: Teasing Fernando Alonso about where he might be headed next season. +2 Max Verstappen: Helping out his engineers with some great descriptions of the noise the turbo makes, when he got a chance to drive in practice in Suzuka. +4 Kevin Magnussen: Can't put it better than the original tweet: Baby Magnussen driving a tiny McLaren with a dummy in his mouth is the.cutest.thing. +3 Daniel Ricciardo: Fab entry to the post-session media pen. Always on the precipice of dancing, that Daniel. +3 Nico Rosberg: Slow motion celebrations - slightly weird, almost cringeworthy, but worth a point or two for originality anyway. +2 Kevin Magnussen: A lovely TV piece about Magnussen's fame in his home country culminates in some hugs for his young fans. +1 Daniel Ricciardo: Super-sized grin for finally getting to go see some Supercross racing, and sit on one of the bikes! +2 Susie Wolff: Taking the boss out for a spin, and being proclaimed as "bonkers!"